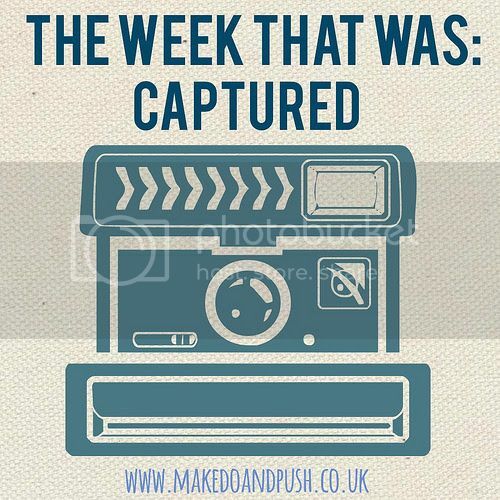 It's a late diary entry for me this week, partly due to yesterday being Mother's Day but mostly as a result of a third week of god awful, hideous sleep deprivation thanks to my youngest darling daughter. Three weeks ago I removed the sides from Evie's cot because she'd learnt how to scale them - and night times have not been the same since. Now, I am very well accustomed to having a terrible night's sleep. I talk about it so often on here I really do not need to go into details. Daisy has finally mastered the art of sleeping through the night in her own bed at age 5 (and she can also sleep through ANY NOISE which I am INCREDIBLY JEALOUS of). Evie is currently in a league of her own, having been waking me up pretty much two hourly every night for the last twenty nights. This past week I have bought a safety gate for her bedroom door and at the weekend I decided to start leaving her to self-settle when she wakes up. Don't be horrified; I've not crossed over to the dark side and abandoned my beliefs regarding attachment parenting. She doesn't cry when she wakes in the night; she just shouts at me to bring her stuff or to play with her. I end up going to her because I'm worried that she'll wake up Daisy (or our neighbours!). It would appear that it's only me that hears her, and it also turns out that if I leave her to it she takes herself back to bed as soon as she realises it's still night time. So I'm sticking at it... and hoping for a good night's sleep tonight. Aside from the lack of sleep, this week also saw me discovering more non-dairy delights (I'm talking about YOU Almond Dream Non-Dairy Salted Caramel Ice Cream), doing more laundry than I thought possible and cramming in a couple of extra shifts at work. This means that my diary entries for Monday to Thursday are pretty much non-existent (unless you want me to go into detail about my OCD of hanging out wet clothes properly so that they dry creaseless? I will if you want me to). However we made up for it with a super weekend at Chessington World of Adventures and a family day celebrating Mother's Day yesterday. So YES! After school on Friday, the girls and I headed straight to the Chessington World of Adventures Resort for a weekend of rides, shows and Penguins. We were invited down for the launch of the Penguins of Madagascar Live Show, which just so happens to coincide with the release of the film on DVD at the end of the month. I'll tell you all about it in a separate post but needless to say we had an INCREDIBLE weekend, which was made even more brilliant by the fact we got to hang out with Alice from An Essex Wife and her awesome family for the first time in forever. We also got to spend a night at the brand new Azteca Hotel, although a certain small child was up to her usual night time antics so it wasn't as relaxing as it could have been for me! 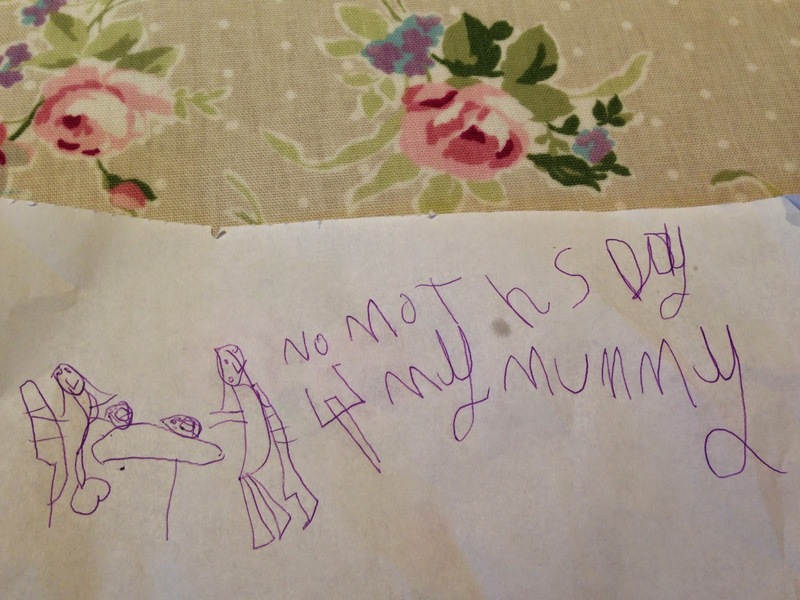 It says 'NO Mother's Day for my mummy' and depicts a happy scene in a restaurant with Daisy and Evie enjoying pizza without me! Mean Mummy card aside, I had a lovely day with my two monkeys (I particularly loved my Mother's Day hairstyle, thank you Daisy) and I'm looking forward to taking my own Mum out for afternoon tea very soon. I hope all you mamas out there had a lovely day too.